Foliage: 5 needles per group, blue-green, 1 to 1.5"
Comments: The oldest trees in Colorado are more than 500 years old on the flanks of Pikes Peak. 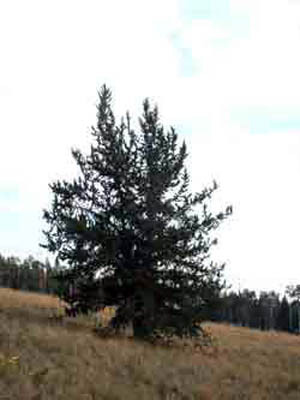 One of the 5 pines native to Colorado. Grows naturally on poor, rocky sites. Tolerant of wind. Warnings: Does not tolerate air pollution.